These lovely Vence Window Boxes boast a unique vintage style and are crafted in Zinc plated Steel, making them weatherproof as well as stylish. The ample space inside could house a selection of dainty flowers or an array of favourite herbs. 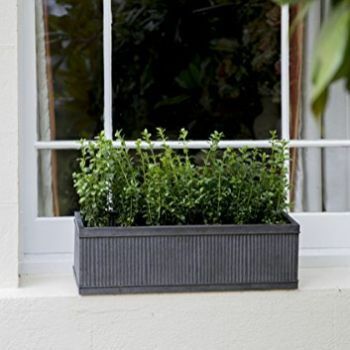 This practical metal planter will display plants beautifully as you look out of the window, whatever the weather. Furnish your windows with this charming planter.